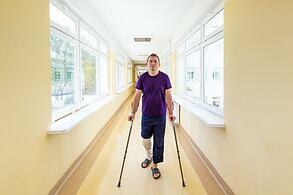 You Just Had Knee Replacement Surgery... Now What? Knee replacement surgery is a very effective treatment for chronic knee problems, offering patients significant pain relief and restoring mobility and quality of life. If you have recently had this procedure, taking good care of yourself during recovery and rehabilitation is the best way to ensure that you are among the majority of patients who obtain those successful results. Here are the basic things you need to know. You can expect to be discharged from the hospital 1 to 4 days after surgery. The exact length of your stay is generally determined by your recovery status, with patients typically cleared to go home when they can accomplish certain benchmark tasks independently, such as getting into and out of bed, using the bathroom, and walking with the support of an assistive device (typically a walker). If your health care team has misgivings about sending you home on your own, a stay in a short-term program that provides rehab therapy for joint replacement patients may be suggested to speed your recovery process. 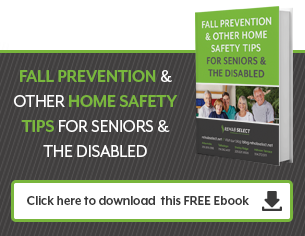 Knee replacement patients generally need some help at home for at least the first few days, and often for several weeks following surgery, so be sure to have those arrangements in place as well. Once you arrive at home, taking good care of yourself is essential to successful recovery and rehabilitation. Keep in close contact with your health care team and keep up with follow-up appointments, especially those with your surgeon, who will need to keep an eye on your healing progress; and your rehabilitative therapist, who will be helping you gain optimal strength, range-of-motion, and function in your new joint. Following your surgeon's post-operative instructions carefully is very important, and proper wound care is key to preventing infections, so ask for specific instructions, particularly on changing dressings and keeping your incision clean and dry. Taking medications as directed – especially DVT medications for the prevention of blood clots – is essential to preventing complications as well, as is following restrictions laid out by your health care team on activity and movement. Understand and watch for the signs of more common complications, such as fever or increasing pain, drainage, redness, and/or swelling in and around your incision. Don't hesitate to call your surgeon if you feel that something isn't right. Perhaps most importantly, if the time for hospital discharge is growing near and you are not yet feeling confident about managing on your own, speak up about those concerns to get you the answers and/or help you need – whether it's a demonstration of proper wound care, a referral to a short-term rehab, or assistance with proper medication procedures – to ensure the best recovery results from your knee replacement surgery.